Microsoft has killed its Kin social phone line just a few weeks after it launched. 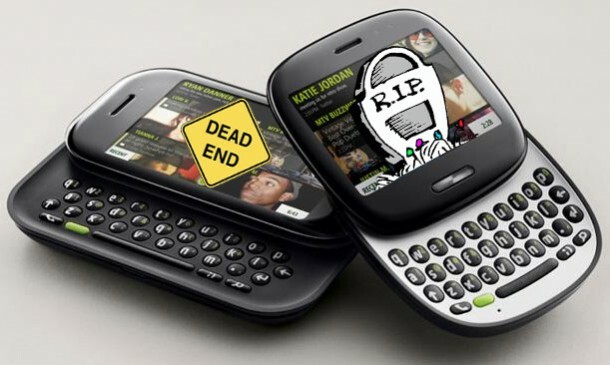 Gizmodo reports that the company has merged the whole Kin team into the Windows Phone 7 team. Rumors suggest that a mere 500 Kins have been sold to date, and while the figure’s probably higher than that, it might explain such a large project being folded so suddenly. Kin was accompanied by some strange advertising, but the biggest problem was that Verizon only offered Kin phones with its $30 monthly smartphone data plan. Kin was supposed to be a cheaper, social-oriented alternative to a smartphone, but without a cheaper data plan, it became almost pointless. Even drastic price cuts to just $20/$50 for the Kin One/Two (from $50/100) didn’t help, and Microsoft’s ads promoting Kin as a Windows Phone just caused further confusion. Read on for the full story behind Kin’s demise. While existing Kin owners will probably continue to receive bug fixes and such, we wouldn’t expect any major feature additions. We do hope some of Kin’s unique features – most prominently Kin Studio – will make it to Windows Phone 7. Perhaps more interesting is the somewhat tragic story behind the Kin failure. Kin arose from Microsoft’s purchase of Danger (maker of the successful Sidekick phones) and was originally sponsored by J Allard (of Xbox fame). Andy Lees, who headed the Windows Mobile team, wasn’t too happy about a parallel phone project going on within the company and managed to get the project transferred from Allard to him. Lees’ team was in the midst of a back-to-the-drawing-board revamp (into Windows Phone 7), so it hardly had resources to devote to Kin, which was delayed as a result. Lees didn’t think of Kin as much more than a contractual obligation to Verizon. Nonetheless, the team kept working and finally finished the phones, years after their intended launch. Even then, Kin was not to be. Verizon informed the Kin team that it would be offering the phones only with a smartphone data plan, which killed one of the phones’ major selling points– so the Kin team already knew it was doomed. Some sources suggest that Microsoft may have dropped Verizon as a launch partner for Windows Phone 7 in response.